Coins 15 Greek Italy. 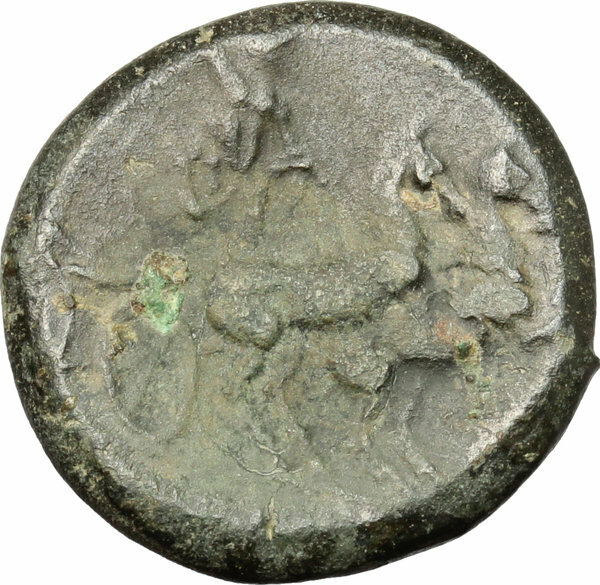 Samnium, Southern Latium and Northern Campania, Aesernia. 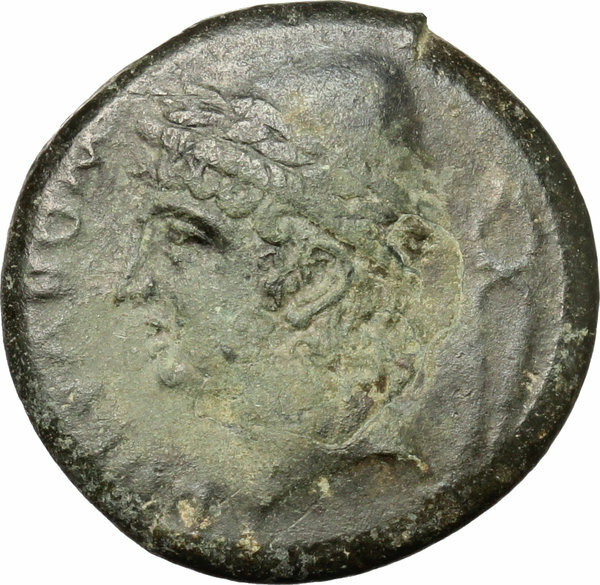 AE, 263-240 BC. D/ Head of Vulcan left, wearing laureate pileus; behind, tongs. R/ Jupiter in biga right; hurling thunderbolt. HN Italy 430. AE. g. 6.79 mm. 20.00 About VF/Good F.